US$56.00€50.96£44.80AU$81.2025% off Out of Stock. XHORSE VVDI2 Ford Universal Remote Key 3 Buttons is compatible with all the VVDI tools including VVDI2 Mini Remote Programmer, VVDI Key Tool etc. XHORSE VVDI2 Ford Universal Remote Key 3 Buttons comes with quality guarantee for all have passed quality control before delivery. And it is compatible with all the VVDI tools including VVDI2 Mini Remote Programmer, VVDI Key Tool etc.). 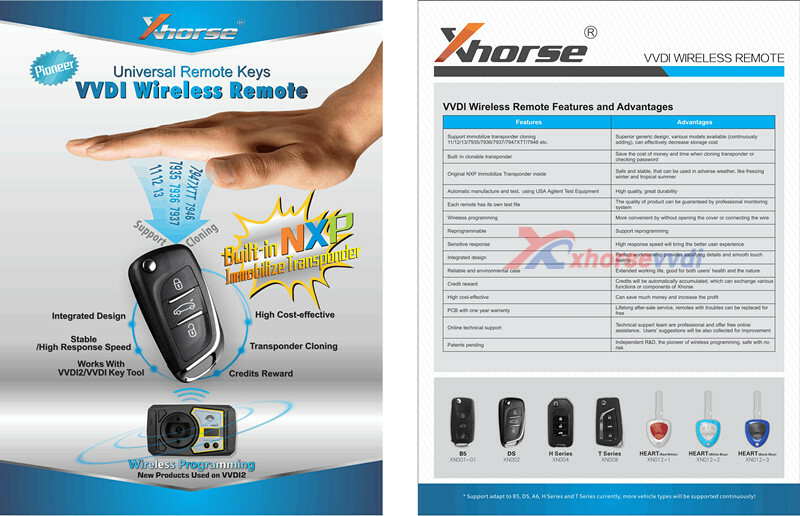 By using Xhorse Remote Key, you can accumulate member points which can be used to exchange VVDI 2 part special functions and accessories.